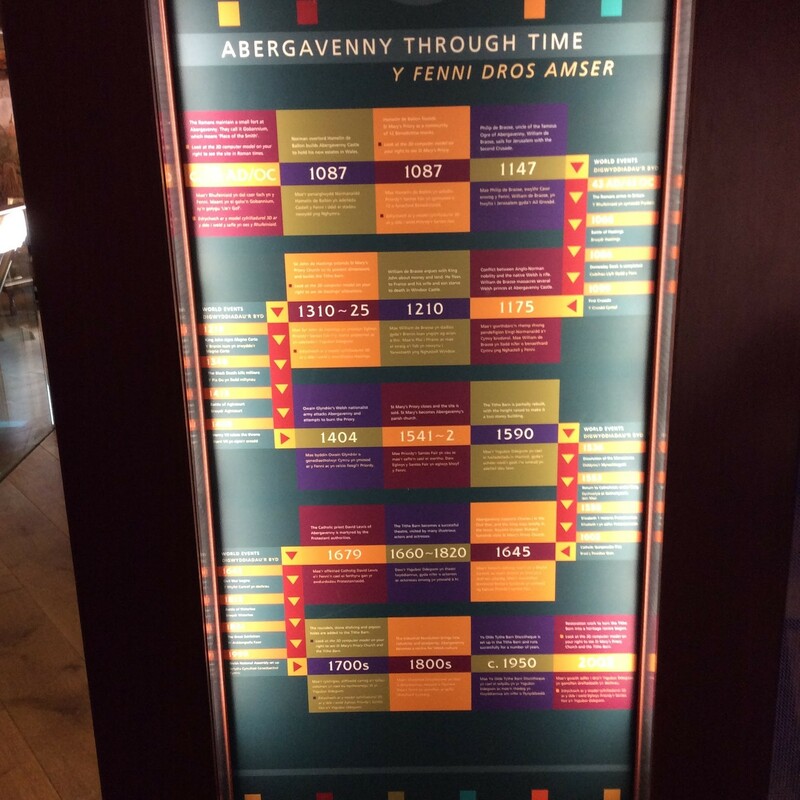 A time-line like this one in the museum in the Abergavenny Tithe Barn sets events in their context. Yet what stirred my imagination was learning that, during the renovation work, scorch marks were found – the result of Owain Glyndwr’s arson in 1404. The thought of these signs of burning and sacking, now over 600 years old, made the ancient battle suddenly seem real. 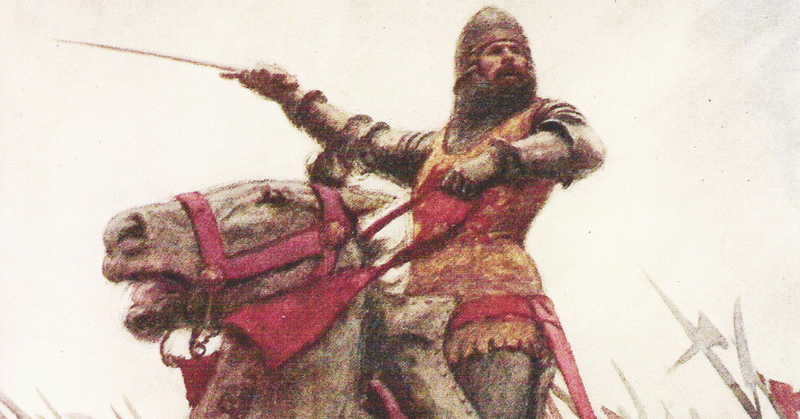 Hotspur was wrong to mock his comrade, Glendower, as Mortimer points out, describing the Welshman as “valiant as a lion.” So he must have been, since he represented a formidable challenge to the King, though previously he was a marcher lord who had spent 7 years in London studying law at Westminster. During 1404 he seized the castles of Aberystwyth and Harlech before advancing into Gwent. This was the last major rebellion ever against the English and Glyndwr controlled huge areas of Wales: indeed, he became almost royal. He was fitted for such a position, being well-to-do and cultured with 11 children, not counting illegitimates. 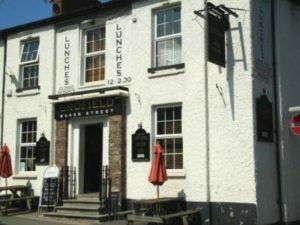 It is said that he entered the walled settlement of Abergavenny through a postern gate in Market Street, let in by a woman sympathiser – perhaps she did not realise that the rebels would burn most of the town to the ground. She admitted a small party who then allowed in a larger force. This army fired buildings and plundered churches and homes – but the Castle survived. Abergavenny was then declared its own nation by Ieuan ab Owain Glyndwr (an illegitimate son) although it is believed that the arrangement lasted only two weeks. 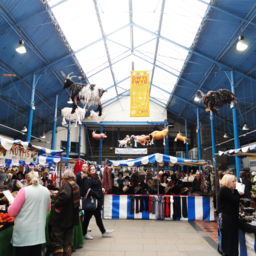 Market Street has sometimes been referred to as Traitors’ Street – though I am not clear where the apostrophe should go! Some historians claim that there is no point in “what if’s” when reviewing the past but sometimes, treading our modern pavements and recalling such events, one cannot help wondering.